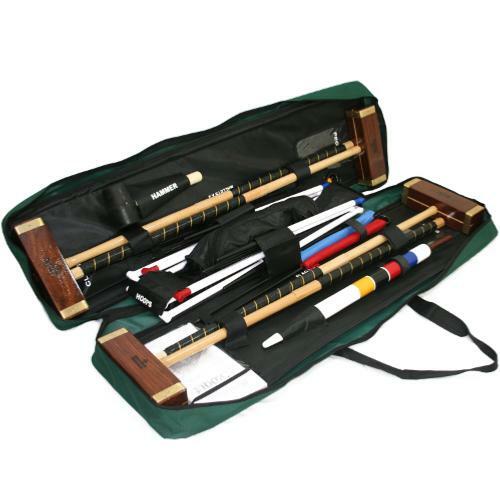 This is a quality full sized croquet set in a toolkit bag. 4 x Square headed mallets made from high quality Rosewood with brass collars, inlaid sight lines and octagonal Ash handles: 97cm (38”) long with 24cm (9 1/2”) x 6cm (2 1/4”) Heads. to leave regulation 30cm (12”) above the ground. 1 x Toolkit Bag with straps and compartments for individual pieces of equipment.